The output, from the commands below, should show that disk0s3 starts at an offset that is sufficiently close to the end of disk0s2 to produce the error message you posted. 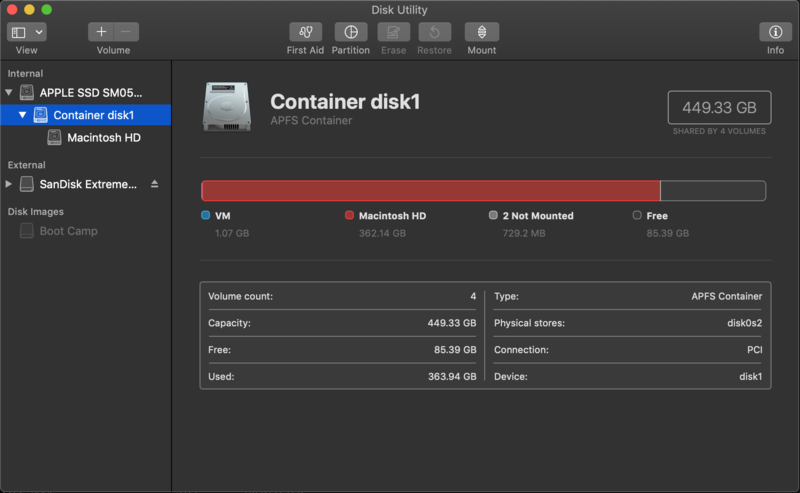 diskutil info disk0s2 | grep -e Offset -e "Disk Size"
diskutil info disk0s3 | grep -e Offset -e "Disk Size"
You do not need the Apple_KernelCoreDump partition. 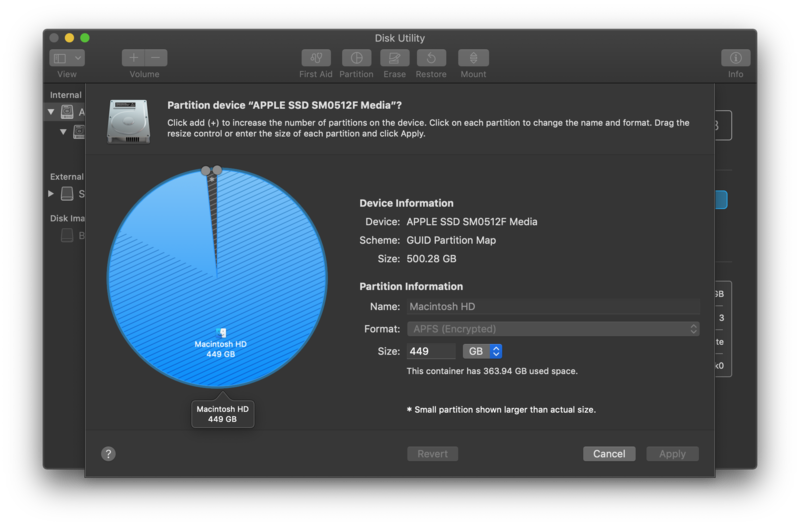 You can remove this partition be entering the command below. Next, you can reenter the command you posted in your question to reclaim the free space. Not the answer you're looking for? 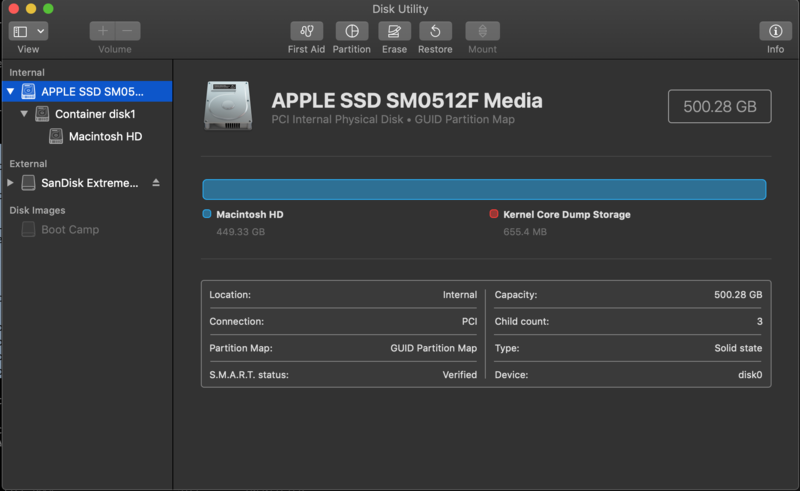 Browse other questions tagged macos disk-utility partition mojave apfs .